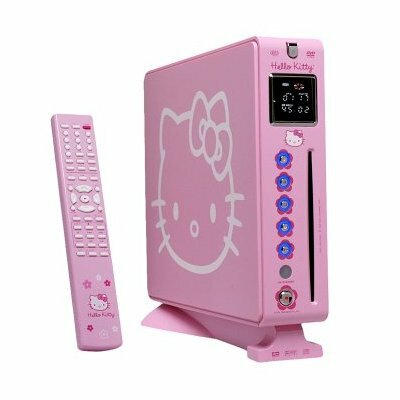 She’ll adore this Hello Kitty DVD player. 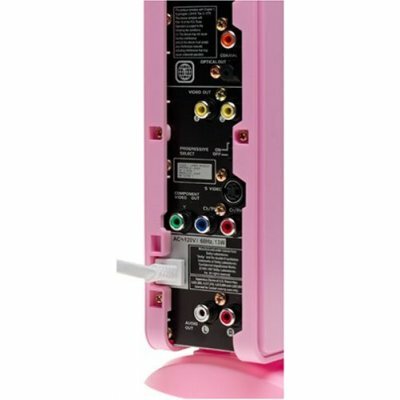 Features a slot-loading design; DVD/CD/CD-R/CD-RW MP3/HDCD playback; fluorescent display; on-screen display; 16:9/4:3 picture select; multi-speed play; angle menu; 20-track programmable memory for CD playing; 2X, 3X, 4X zoom; coaxial AC-3/DTS digital and R/L channel audio outputs and built-in AC cord. 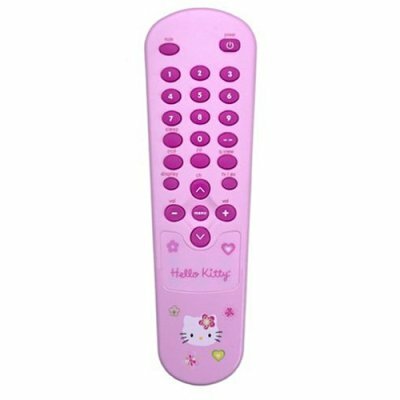 Includes 48-key remote control. Imported. 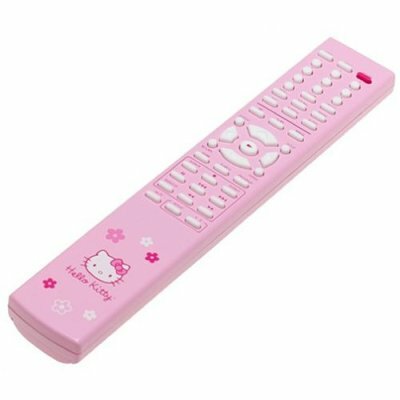 11-1/2Wx2-1/2Lx10-1/2H”. 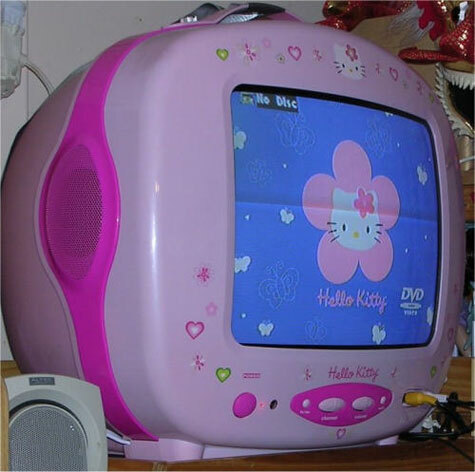 Make her bedroom complete with this 13″ Hello Kitty Color TV with an On Screen Display. 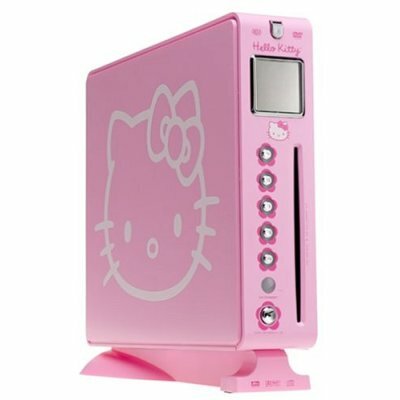 It comes pretty in pink with the Hello Kitty logo. 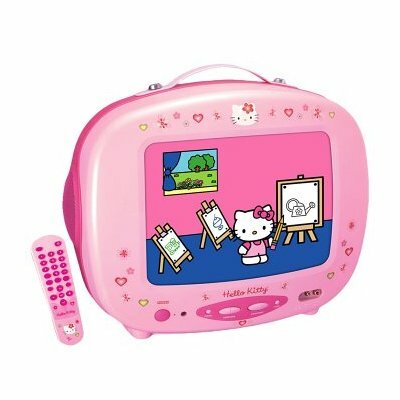 It makes a stylish addition to any girl’s room or play room.